As a D.C. native, I grew up playing on the National Mall and visiting the Smithsonian museums regularly. It was a gift to have that upbringing and gave me a glimpse into the real city of Washington – not just its political personality. Here is a seven-day itinerary I created. If you have some suggestions of your own, please feel free to share them in the comments section. There is even more information in list form in Part Two. 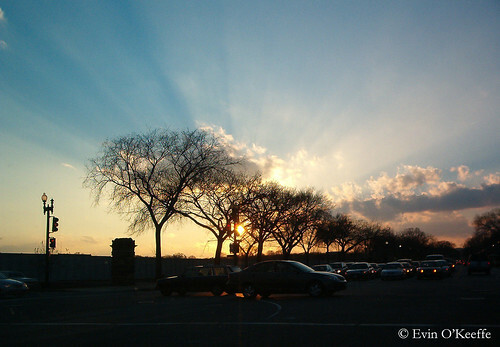 Enjoy a pleasant drive down the George Washington Parkway. Start out in Old Town Alexandria with lunch at a pleasant restaurant in this colonial town with narrow streets. Walk along the shops and browse for non-touristy souvenirs. A Crate & Barrel outlet store is located at 1700 Prince Street in Alexandria, so perhaps a side trip for some domestic accessories is in order. Drive down to Mount Vernon after lunch for a tour of George Washington’s home. 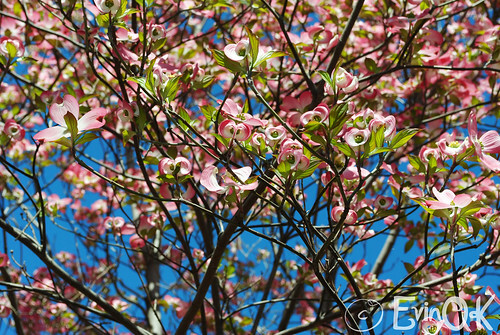 Tour the home, walk down to the historic Potomac River from his house. If you are more interested in nature, go to Great Falls Park. For dinner, return to Old Town Alexandria. Visit the Smithsonian art museums. 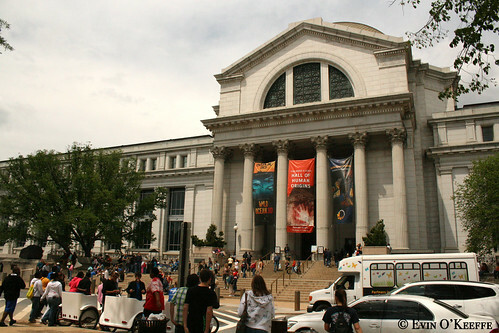 Smithsonian Institution museums are free in Washington, D.C. so you’ll get your money’s worth and then some. First, explore the National Gallery of Art. Break for lunch on Capitol Hill at the Hawk ‘n’ Dove, a watering hole for many Senators and Representatives. Or my personal favourite, Ted’s Bulletin. After lunch, walk over to the Freer Gallery of Art to see Whistler’s Peacock Room and its neighbor the Arthur M. Sackler Gallery. If you have the chance, also visit the National Portrait Gallery (reopened in July 2006 after extensive renovations). For dinner, treat yourself to a meal at Occidental Grill in the Willard Intercontinental Hotel on Pennsylvania Avenue just west of the White House. Main courses range from $25 to $40. Their lobster bisque is truly memorable. If the weather isn’t too humid, opt for patio dining, but be aware that the inside and patio menus may differ. This is the hotel where the term “lobbyist” was coined and the place where Martin Luther King, Jr., stayed while in town to give one of his most memorable speeches ever. For an authentic mint julep made according to Henry Clay’s own recipe, visit the hotel’s Round Robin Bar. Start your day with a visit to the International Spy Museum in Penn Quarter. Admission is $15 per adult and time specific so advance purchase may be preferred so you can plan your day. To order advance tickets or to learn more about the museum’s exhibits, visit the museum’s website. Have a late lunch at Potbelly Sandwich Works (726 7th Street NW). You will leave satisfied and having spent less than $10 on your entire meal. 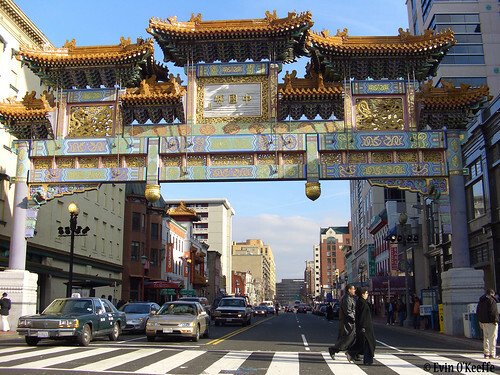 Wander around Penn Quarter and neighboring Chinatown or catch an afternoon matinee at the movie theatre around the corner. For dinner, eat at Zola’s, which is located beside the Spy Museum. Continue your exploration of the Smithsonian museums with visits to the Museum of American History (temporarily closed in 2007). The gift shop has unique gifts and there is a separate music shop with American folks, roots, blues, and rare recordings that have been collected and restored by the Smithsonian. This museum also houses Dorothy’s ruby slippers and Indiana Jones’s hat. Next, visit the Museum of Natural History and explore its treasures, including the Hope Diamond. If it’s hot outside, stay a while and enjoy an IMAX movie or proceed to the Air & Space Museum to see a showing at their IMAX. Air & Space is one of the most popular museums on the National Mall for good reason. You can see the Spirit of St. Louis and other planes actually used in the early exploration of air travel. Have lunch in one of the museum cafeterias, but realize that they are geared toward school groups and family visitors so the menu selection is limited. The newest museum on the Mall is the Museum of the American Indian and their cafeteria is an improvement. Enjoy touring the museum during the afternoon. For an early dinner, return to Penn Quarter to get Potbelly sandwiches ordered to go. You’ve just made yourself a picnic. Walk down to the National Mall and settle in for dinner. No alcohol is permitted since it is National Park Service property. Spend the morning strolling around historic Georgetown. This neighborhood in DC has a rich history and is now a thriving area for businesses and restaurants. For the funky shopper, check out Commander Salamander (1420 Wisconsin Ave, NW). Traditional chain stores, such as Banana Republicand Benetton, are also present. Have lunch at Rocklands (2418 Wisconsin Ave NW). Known for its barbecue. For dinner, enjoy a delicious meal at Bistro Français (3128 M Street, NW). Early dinner specials are available for $20 per person. After your Friday or Saturday early bird dinner, go to see a performance of The Capitol Steps at the Ronald Reagan Building and International Trade Center. Day 6 – Northwest D.C.
Start with a breakfast bite at Cosi by Dupont Circle then go to the National Zoo. It is free to everyone. Pandas reside there and are themselves worth the trip. Spend the morning there, then head to Georgia Brown’s (950 15th Street, NW) for your last lunch before leaving town. Main courses range from $17 to $26 and are worth every penny. They specialize in Low Country cuisine so you can have fried green tomatoes, catfish fingers, she crab soup, lump crab cake, southern fried chicken, shrimp and grits, or any of a number of mouth-watering treats to show your taste buds what it means to extend southern hospitality. Reservations are wise since it is popular, 202-393-4499. 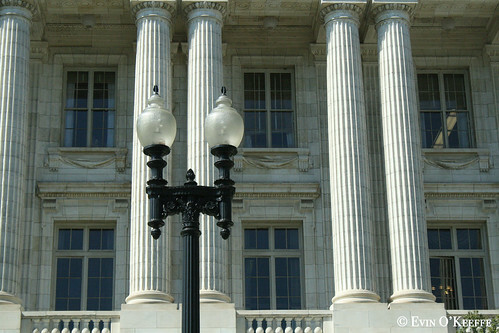 Start at the Washington Monument and walk west toward the Lincoln Memorial (west of the museums). Take your time and enjoy the stroll. You’ll see the WWII Memorial, Vietnam War Memorial (the Wall), and several more in remembrance of those who served our country and fought for the freedom we cherish. Work your way beyond the Lincoln Memorial eventually and cross the Memorial Bridge on foot to Arlington Cemetery. 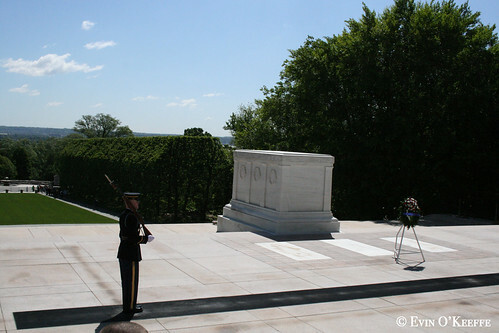 The Tomb of the Unknown Solider is especially touching. The order of these is not essential for enjoyment, take weather, your schedule, and other elements into account. At the very least, I hope this has given you some ideas for your next visit to Washington DC. Don’t forget there is even more information in list form in Part One.